Win Prizes By Entering The Ellen Degeneres Christmas Giveaway! How much do you enjoy entering contests and giveaways? How about a giveaway hosted by Ellen Degeneres during the Christmas season? And registration is easy because you can handle it all online. You’ve heard of the 12 days of Christmas, and that is how she handles her Christmas giveaway. If you’re wondering if the prizes are great, well they are! You can also get tickets to be a part of her audience, and they get to benefit from the 12 days of Christmas giveaway too. Think about how each day brings something new, a new prize, a new opportunity. Ellen Degeneres really tries to make the prizes exciting, and so this giveaway really has gotten the attention of a lot of people. While there will be tons entering, that doesn’t mean you can’t win! 12 Days of Giveaways What type of prizes can you win? There are so many different unique prizes, but one example would be concert tickets. Now who wouldn’t like to enjoy a nice concert without having to pay? The last time I went to a professional concert, not a local one, was more than a decade ago when I was in my early 20’s. It’s always a special time for the Ellen Degeneres show during the Christmas season, and Ellen keeps finding ways to make it even more special. You can bet that her Christmas giveaway will top last year, and you might be the next winner if you sign up. If you have the app that Ellen offers, you can take care of signing up for the giveaway plus do everything else that you need to do using her app. Don’t watch all those prizes being given away without taking part. 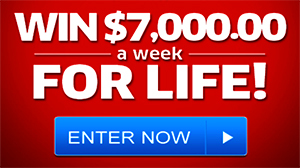 Sign up, check out guests coming to her show, look at the list of prizes, and get ready to win! Visit today, www.ellenTube.com or Ellen’s Facebook Fan Page or ellenshop.com. 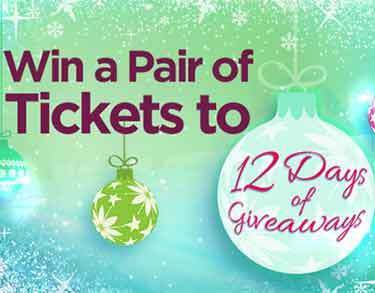 Once on the page look for the 12 days of Giveaways banner, You will be brought to a web page that contains the registration form where you will be prompted to enter your information for the sweepstakes giveaway. Win Christmas tickets. 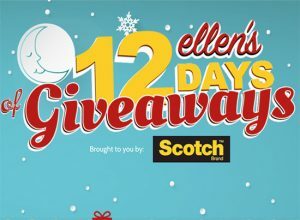 Enter for your chance to win a 12 Days of Giveaways Ellen DeGeneres Show during the month of December. Go to www.ellentube.com or such other designated internet destination such as Ellen’s Facebook page, Ellen’s Twitter account, or the like (the “Web Site”). You will be brought to a web page that contains the registration form where you will be prompted to enter your information. Would love to come to one of your 12 days of giveaways love your show!! We’ve been struggling my husband got laid off his job last January thought he’d been working by now a good friend has offered him a job for the last couple of months but only working 2/3 daysa week so has been hard was wanting to go away for my 60 Th last may but couldn’t afford it love how you help so many people out would love to meet you!! Hi Ellen I’ve been watching your show since the beginning. I would love to win tickets to the twelve days, I think is so exciding to watch everyone I would love to be one of those people. Thankfully I don’t I have a sad story to tell you, I’m doing ok! I just would love the apportunity to be at your shoe and most of all to meet you in person. I hope you’ll consider me as one of your winners for the twelve days I thank you so much. I would be so happy to be part of the giveaway. Ellen you are the greatest. And know that I’m not a racist nor do I support prejudices. But you are a one and only talk show host that has rhythm…. I love your show and would love to bring my Mom 74 and my Dad 80 to see you they watch you ALL the time I have tried to win tickets. And it is just not my turn I pray I will be blessed before my parents are no longer here and have gone on to heaven… I won’t give up! I would love to win tickets to see The Ellen show on a twelve days of Christmas. HAVE BEEN TRYING TO WIN 12 DAY CHRISTMAS TICKETS FOR 100 YEARS. ALSO YOU OWE ME $40.00 DOLLAR FOR PLAYING YOUR SLOT MACHINE AT THE FANTASY CASINO. DIDN,T WIN CACA!! I would like to win 2 tickets for me & my mother-in-law to come to your show we watch it everyday & would really appreciate it if we could come & get in on the 12 days of Christmas, please believe me we really NEED some of these items. She also can use a new furnace in her home as she doesn’t have an heat or h2o so she also needs an hot h2o tank as we are boiling h2o to wash. Please consider us as some candidates on your show. I would like for it to be a surprise to her. Her name is Sharon Maye she s the head cook at Frisch’s on Central Pkwy in Cincinnati, Ohio, she’s been there almost 20 years. MERRY CHRISTMAS TO EVERYONE…I would love to come to the ELLEN SHOW but I think I am too late..I watch it most everyday..I just want to win a prize..I am very blessed, I have family,friends,and lots of love around, I cannot complain, I just want to enter the 12 day’s contest,but I cannot find the page on this computer so I hope this gets me entered..I know you help so many people that need help and I know you are so very generous and how happy it makes you..You are very blessed and I wish you a very MERRY CHRISTMAS..You are also a HOOT, You make me SMILE and LOL… Sincerely, Ann from Nash. Tenn.
that you spread, you have helped me to heal and you alone are a true testament to True Good Will. I truly thank and love you for all that you are. I was severely injured a few years ago by the hands and greed of another. I am one of only a few to have recovered from the severity of my injuries. I have been successful throughout my life with inborn commitment and determination. I would like to continue that work. Your generous gift would enable me to do so. Benefitting me would benefit many others in return. You helped me walk and live again–your gift would help me to reward many others as well. So Ellen, I’m not sick or anything. Just a a really bad place in my life. I’m getting older and recently divorced. It’s just weird. I do love to travel and would really like to come to see your show in person. I feel like I’m talking to my therapist. Do I have to pay for this session? Dear Ellen, recently did a show on people who desired dessert appreciate.i know 3. My Nicese she 11Yr. And her mentor 3yr. A go Lana Can into Life. And took Control of everything. She Start taking her to school taking me to the Doctor taking us to Her Were every we need Togo. She’s has a beautiful family.she Guick her Job to take Car of Us.i mean what every I need grocery Clothes. They was trying to Fail my Nicese at this school and she Handle good. We had to Send he to Summer school get who pY for. And arrange for her together School Supplies. Took her shopping to get her tennis shoes.she’s a blessing to us. I ask her one if she had 1 wish what would it be she said for Us to take D. To the holyLane ans to Disney World.and said WoW !! That was one of my Dream too. She is amazing person. I Wish I Could make Her Wish come true. Ellen U God Masterpiece Cread in his divine Design.he said,”Faith “and gave u the Strength to move Mountian… He said Hope’and Shaped the desires of your Heart..he said Love”and Made you this amazing person You Are!.My Friend Name is Lana, my Nicese name is Devinigue. And my name is Mary. I would Love to come to one your show u see I Am Disabled and afraid to Fly. But Lana not R Devinique i ‘m in Such a Financial situation. sand Lana is alway Help Some One. If I could make her Wish Come. That would make Me HAppy too. I would love to see Ellen, watch her all the time. would love to be there for the giveaway as I am a sr. and disable and limited income, or I would just love to see her. what a blessing it would be. god bless and thanks for letting me leave this even though it says 2103, and it is 2014, so will you really read it? I would love 2 tickets to the 2 days of Christmas show for 2014 in Los Angeles! I love tour show so much!!!!!! I am going to the ellen show. I have my bags packed just waiting for ellen to call me. I will get gifts for the grand children and I WILL see Ellen in person. That would be the best of all gifts . Ellen I have been watching you ever since I can remember I love your show. you are so funny and you make me laugh I would just die to come see you it has been something that I really want to do for a very long time just can’t afford the trip. i would love to win anything from you I have never won nothing in my life. Love your show and watch it often. I am a retired nurse and my husband a retired barber. We are trying to sell our house so we can travel a little. Have been unable to do that. We pay our bills, but just a little short on the other end. I am very thankful to God for our good health and do not want to complain. By the way I love your poinsettia on your stumps. Those stumps make a great coffee table. Hope you have a great Christmas and happy and healthy coming year. Hi Ellen my wife Linda has been watching your show for over eight years and dream of being there for the 12 days of giveaways. Every year I ask her what she would like she tells me to go to your show. She has been fighting breast cancer for the past two years and all she does is give. I am asking you to please help me to make her wish to come true. I see all the wonderful things you do for so many. I pray this will be one of them. The only reason I entered a few times is because the site kept saying error and I would re-enter.